Two leading public health organisations have called for the possession and personal use of all illegal drugs to be decriminalised in the UK. The Royal Society for Public Health and the Faculty of Public Health said the government's approach to drugs policy had failed. There should be a greater focus on treatment and education, they added. 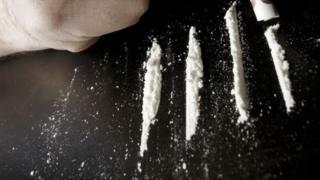 The Home Office defended its record, saying drug misuse had declined over the past 10 years. The report, called Taking A New Line On Drugs, said criminal sanctions failed to deter illegal drug use, undermined people's life chances and could act as a barrier to addicts coming forward for help. It called for a "sea change in approach" and said the UK should adopt the Portuguese system under which people caught using drugs were offered treatment and support rather than being punished. However, dealers and suppliers would still be prosecuted. The report also suggested that drugs education be made mandatory, and that responsibility for drugs policy be moved from the Home Office to the Department of Health. Royal Society for Public Health chief executive Shirley Cramer said: "For too long, UK and global drugs strategies have pursued reductions in drug use as an end in itself, failing to recognise that harsh criminal sanctions have pushed vulnerable people in need of treatment to the margins of society, driving up harm to health and wellbeing even as overall use falls. "On many levels, in terms of the public's health, the 'war on drugs' has failed. "The time has come for a new approach, where we recognise that drug use is a health issue, not a criminal justice issue, and that those who misuse drugs are in need of treatment and support - not criminals in need of punishment." Baroness Molly Meacher, speaking on behalf of the All-Party Parliamentary Group for Drug Policy Reform, welcomed the report. She said the current system "criminalises some users of psychoactive drugs whilst very harmful psychoactive drugs including alcohol and tobacco remain legal". A Home Office spokesman said: "The UK's approach on drugs remains clear - we must prevent drug use in our communities and support people dependent on drugs through treatment and recovery. "At the same time, we have to stop the supply of illegal drugs and tackle the organised crime behind the drugs trade." The spokesman said there had been a drop in drug misuse over the past decade and more people were recovering from dependency now than in 2009-10. Would society work better if drugs were decriminalised?